This “Soulman Plays The Breaks” joint is the second act of a three-act work of art which I named “Philladelphia Beat Mission”, my final officially released Soulman CD. Some of you who never heard the entire cd still may have heard some of “…Plays The Breaks” on a sampler cd that was found in Grandslam magazine back in… uhh, what year was that? 2002 or 2003 maybe? I forget and don’t feel like looking up the info, so, yeah… one of those years. I think. Anyway, I did this particular mix for two main reasons: one, I love breaks. Two, because I was hearing from some internet dudes who once loved breaks how they suddenly woke up one morning and no longer loved breaks. “I’m TIRED of breaks”, “beats are played out”, “i no longer get erections when I hear Power Of Zeus drums”, “take that schitt to thebreaks.com“…. you know these type of guys (lolol). I call these dudes the “one foot inners one foot outers”. You know, like they’re down with THAT REAL SCHITT when they think it’s cool to be down, then they run like lil beeyotches away from THAT REAL SCHITT as soon as they get an inkling that it’s no longer the “in” thing to be associated with. These OFIOFO’s are not like us, oh no… they are a weaker, far more spineless variant that should NEVER be mistaken for Real Schitters. I may do a post about OFIOFO’s in the future… probably not, though. I’m bored already with typing about these people- they’re of no concern. My thing is this: as i said before, I love breaks and I always will. Beats, breaks, drums, loops, grooves, UBB’s that I’ve heard a million times over, all that schitt. That’s Hip Hop, B (and of course I’m always gonna love Hip Hop too). It’s not only a Philladelphia Beat Mission, it’s a lifetime mission. Btw, my apologies to any of my peoples out there who feel that I’m talking about them in this post… I probably am, but I luh ya anyway. Btw2- don’t take me too serious with all this… taking me too serious is almost ALWAYS a mistake. 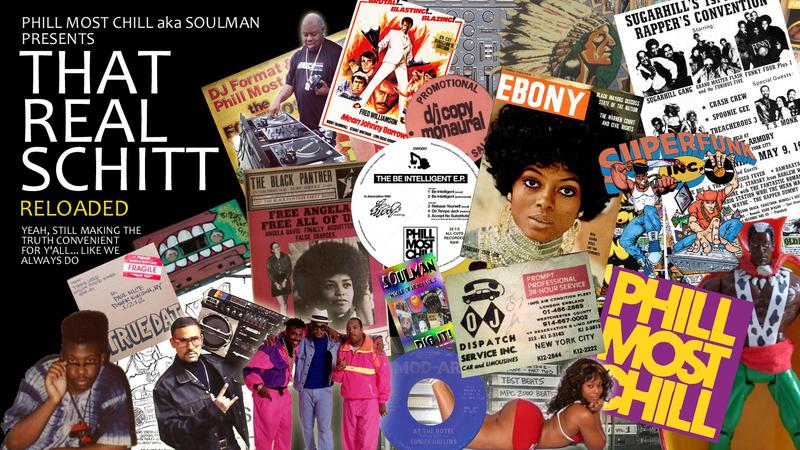 This entry was posted in beats and breaks, digging in the crates, rare groove, real schitt, soul, soulman, soulman break mixes. Bookmark the permalink. joint…. ladies and gentlemen, we have a new contender for the title of First Rap Record Ever, and it’s a Joan Baez record. 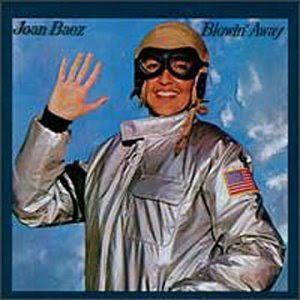 Yep, it was brought to my attention by a long time archaeologist, my homie James Auburn, that Joan was actually spittin’ the hot 16’s way back in 1977 on her album “Blowin’ Away”. This was probably recorded before the first time brothers Melvin and Danny Glover ever sat up in their room in the BX writing their first rhymes that they would rock in the parks with DJ Flash and Keith Cowboy. Could this mean that a young Mele Mel was actually biting the style of Ms. Baez? As always, you be the judge, but I would think not. All right, now here we go… I’m gonna stop trying to be clever and coming at you with unknown, unreleased, unheard and seldom seen schitt and instead just lay some funk on y’alls azzes. There are so many cotdamn music blogs out there in internet land that who knows, you may have already seen all of these lps posted up elsewhere in the blogosphere. I really can’t be concerned with such things- if you can use these babies, grab ’em up right here, right now. If not, get busy or get lost. Most certainly we are talking about THAT REAL SCHITT right here… that real soulful funky schitt. 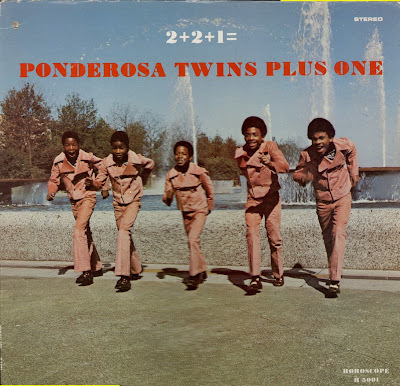 The pic of the kids up above running at you in their Easter suits is the cover of the Ponderosa Twins Plus One “2+2+1=” lp. Two sets of twins plus another Gary Coleman-lookin’ li’l dude belting out soul harmonies. “Bound” is my schitt off of this album. 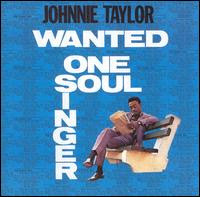 Next is the Johnnie Taylor “Wanted… One Soul Singer” lp. GREAT record. This is an album that I tried for years to luck up on out in the field, but alas, I never came across a copy. Never wanted to spend the dough bidding for it on Ebay years later, either- I’m just stubborn like that about records I was never able to catch while out diggin’ (file Skull Snaps in that category as well- still never found an OG in the field, and I don’t even want the damn record now). 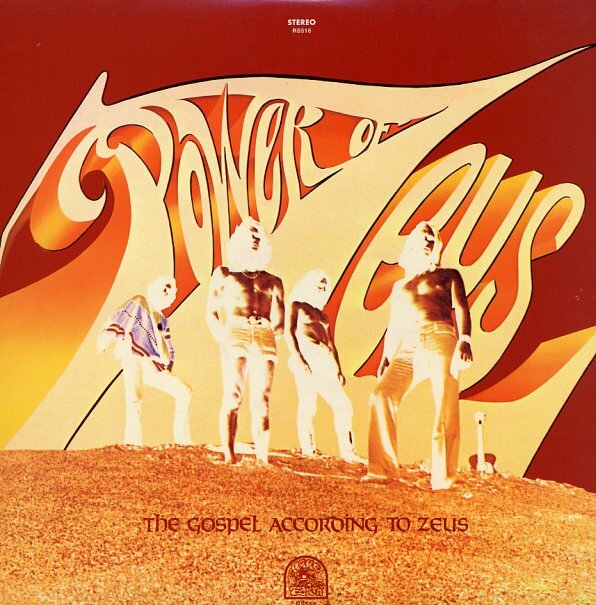 Anyway, there are a number of loops that were sampled off of this lp but it’s basically just some great soul. See if you recognize the “Ain’t That Loving You” joint if you’re not already up on it. 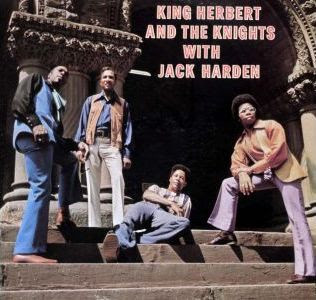 This King Herbert And The Knights With Jack Harden album is a pretty rare jawn from Canada, but I’ve been lucky enough to come up with two copies, both of which I got before I even knew how rare it was. One of them I traded to Jazzman Gerald many moons ago, the other one is still in my grip (but I may soon flip on Ebay… I’m getting rid of my grails, slowly but surely). Funky instrumental stuff with covers of “Sissy Strut”, “Chicken Strut”, “Amen”, “Ode To Billy Joe”, “Sing A Simple Song”… holy f**k, it’s a veritable break fiesta. I put the “Amen” joint on my “Instrumentality” cd awhile back, but go ahead and get it here if you must. 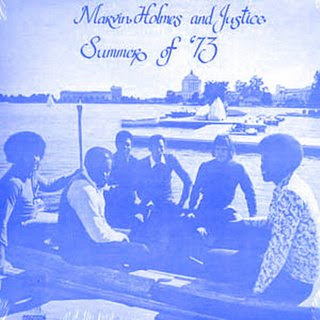 Next we have the Marvin Holmes And Justice “Summer Of ’73” lp straight out of the Bay Area… straight up holy grail status here. Beni B put me up on this waaaay back. The tune “All Night Into Day” is the killer (I dig a lot of Marvin’s stuff, including the “Ooh Ooh The Dragon” schitt). 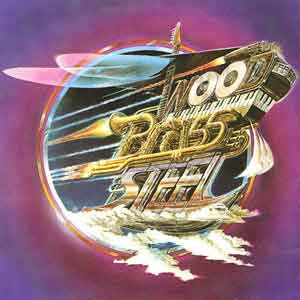 Last up, the Wood Brass & Steel self titled lp on Turbo from 1976. I had this sitting in my crates for many a year and never paid it no never mind… ah, the folly of youth. Real decent version of the Ronnie Laws classic “Always There” but the jawn is “Funkanova” (featured on my “Do What You Gotta Do” cd). How I slept on this for so long I dunno, but it just goes to show how your tastes can change and grow over time. BOY have my tastes changed with the years- I like all kinds of crazy azz schitt that i never woulda thought twice about in my young, dumb years. 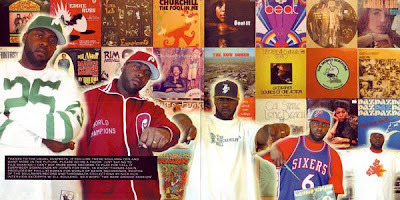 This entry was posted in beats and breaks, digging in the crates, rare groove, real schitt, soul, soulman. Bookmark the permalink. What up… still slackin’ on the real schittery, I know. Been busy doing this and that… one of those this and that’s being a Phill Most Chill mixtape featuring a bunch of rare, unreleased and never before heard random rap (I’ve come to embrace the term) from as far back as 1987 to around 1995 or so (and also including a few recently recorded yet old-as-f**k-sounding joints slated for the Philly Phill Old School lp). This mix was made for my peoples from Japan over at Yo! Brother to go with the limited edition Phill Most Chill t-shirt box set that will hopefully be available in the near future…. as soon as I get word that it is officially on the market I will be sure to make it known here, so be on the lookout. Of course I can’t post the whole mix here, but below is a little snippet just so you can get a taste of what’s poppin’. I don’t think Yo! Brother will mind (but just in case they do, hurry up and download it before I have to take the link down!). Other Phill Most news: I am about to get to work preparing a new / old Phill Most Chill 12″, some of my 1980’s schitt. I’m determined to do this right, take the masters into the studio and mix stuff correctly so that the sound is nice, get it professionally mastered, etc. Right now I’m planning on doing it similar to how my boys at DWG did the “Be Intelligent EP”- a limited pressing of 100 or so, custom PMC artwork on the sleeve, etc, pricetagged in the $100 range. But I am open for suggestions- ultimately I have to give it to the collectors the way they want it, so please give me feedback. Without you guys it can’t happen, so let me know what you think. Any DWG regulars please spread the word (I’ll probably be posting at the DWG forum about this soon too) and let me know your views, ideas, etc… all feedback is most appreciated. This entry was posted in lost rap, news, old school rap, phill most chill, random rap. Bookmark the permalink.